The Bronx River Art Center celebrates the New Year with an evening of experimental audio/visual performances by acclaimed NYC Jazz and Electronic musicians. 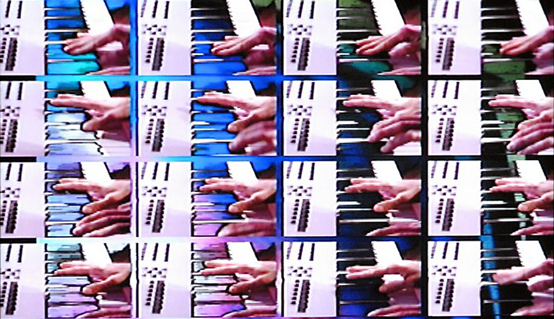 This tightly-knit group of experimental performers transforms projected live video, often re-processed through digital effects, into an instrument that simultaneously improvises with the live music being played on drums, keyboards and saxophones. The sound produced is then reintegrated into other live video feeds to generate a multilayered meeting of free jazz and video art. The sonically-rich video projections duel with analog sounds to create intriguing new compositions that explore funky grooves and ethereal melodies. Featuring: Rob Brown - Alto Saxophone; Sabir Mateen - Tenor Saxophone; Lewis Porter – Keyboard; Andrew Drury - Drums and Percussion; Andrew Demirjian - Audiovisual Processing; Chad Dell - Lighting and Projections.